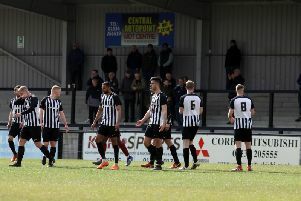 Corby Town’s NFA Hillier Senior Cup semi-final at Peterborough Northern Star has been postponed following the heavy snow that fell last night. The Steelmen can now turn their attention to trying to get back to winning ways in the Evo-Stik Southern League Premier Division when they travel to Slough Town on Saturday. But there will be a game at Latimer Park this evening after Kettering Town’s Division One Central clash with Beaconsfield SYCOB was given the go ahead following a lunchtime inspection. The United Counties League Premier Division derby between Wellingborough Town and Desborough Town, meanwhile, has been called off.